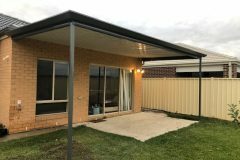 A lot of people commonly ask us “how much does a pergola cost?” Clearly there are a lot of factors that determine the cost of a pergola build and in this article we are going to go through some of them and help you become more educated on the things that could affect the cost to build a pergola in Melbourne. Size: The finished size of the pergola is definitely a major factor in final cost of the pergola, usually larger pergolas would cost more to build whereas smaller pergolas would generally be cheaper to build. Materials: Another factor that can affect the cost of a pergola would be the materials it’s made out of. Generally there are 2 types of materials that pergolas are usually made from. One is timber and the other is steel which is usually a Colorbond steel. 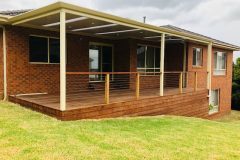 Here at Undercover Concepts we truly believe that a Colorbond steel pergola is far superior to that of a timber pergola. 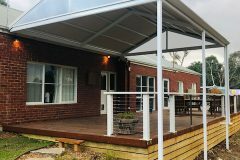 Find out why in our article ‘8 Reasons Why a Colorbond Steel Pergola is Better than Timber“. 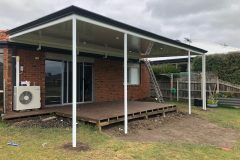 It is important to keep in mind that often a steel pergola is cheaper than a timber pergola because they don’t need painting, they usually have a shorter construction time and they will need less maintenance in the future. Additions / Features: Another important factor that can affect the cost of a pergola would be the additional features should you want them. If you wish to add skylights, electricity, blinds or other features to your pergola this can impact the price. Site Costs: All sites are different, depending on where you would like your pergola built this can also affect the price. If site access is restricted or earthworks are required to build your pergola this will usually affect the cost. Some pergolas can be bolted to existing concrete whilst others can be concreted into the ground or anchored to existing structures such as deckings and retainer walls. Existing Structures: If there are existing structures where you wish to have your pergola built this could also have an impact on the cost. Existing pergolas or other obstructions would have to be removed or worked around before the installation of the new pergola. The points listed above are just a brief list of factors that could affect the cost of building a pergola. 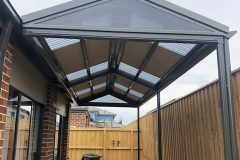 Because of these factors, it is almost impossible for us to just give a straight out price to build your pergola so this is why we prefer to quote on a per-job basis to avoid disappointing people with unrealistic quotes. 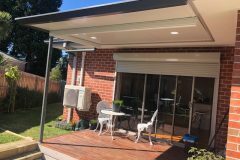 If you would like a free quote to build your pergola in Melbourne, please give us a call on 1300 270 740 or contact us via email here. Once you contact us we will be able to have a chat with you about your needs, organise a site inspection (if required) and then provide you with a quote.